Education Day is a national holiday in Kiribati. 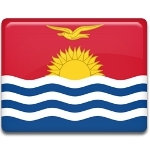 It has no fixed date and annually the government of Kiribati announces the date of its celebration. Education Day celebrates the system of education, that exists in this state. There was no single system of education in Kiribati till 1965. At that time the islands were a part of the colony of the Gilbert and Ellice Islands and the educative mission was conducted by the church. The first step toward establishment of a single system of education was made in 1965. The compulsory primary education was established for the first six years in 1970, nowadays it's extended to nine years. The government school system slowly absorbs the mission schools. The government of Kiribati pays much attention to expanding of higher education. Students may study in Kiribati and obtain a diploma in technical, teaching or marine training. They also can go to other countries to get medical education in Cuba and environmental and cultural education in Fiji.